FALKOR PETRA 300 Win Mag 22 Inch DRACOS Barrel (Urban Camo) AR Rifles In-Stock at the Best Price. FALKOR PETRA 300 Win Mag 22 Inch DRACOS Barrel (Urban Camo) is made from the highest quality materials and workmanship. FALKOR PETRA 300 WIN and 300 Norma Rifle is the APEX of the Magnum AR Class. Unlike most bolt action rifles, the PETRA in 300 Win Mag and 300 Norma has virtually no recoil. FALKOR PETRA 300 Win Mag 22 Inch DRACOS Barrel (Urban Camo) is considered the Ferrari of the magnum AR semi-automatic rifle platforms. 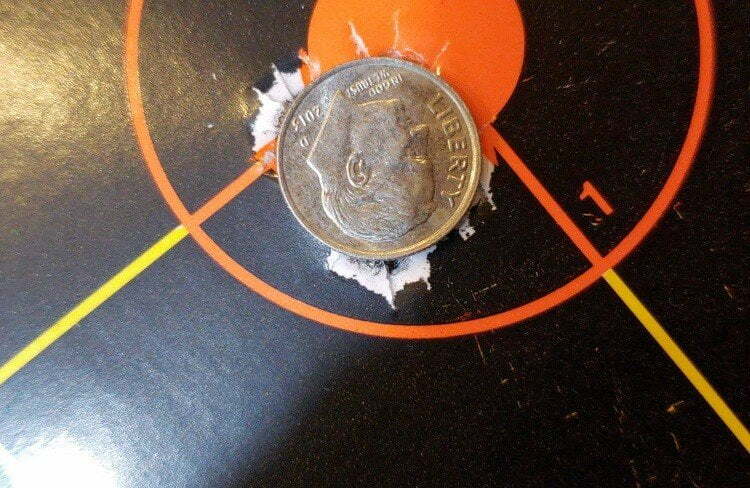 This type of accuracy has never been experienced in a production AR, Until now. FALCOR’s PETRA re-defines all expectations. Built with FALKOR’s patented ambidextrous billet receiver, and their proprietary recoil reduction system. The PETRA is the perfect rifle choice for the firearm enthusiast that demand the highest quality and accuracy available on the market today. FALKOR PETRA 300 Win Mag 22 Inch DRACOS Barrel (Urban Camo) is equipped with Transition MLOK™ compatible rail, engineered to add strength and rigidity between the union betwee of the upper receiver and barrel. Each component is designed with the professional end user in mind and machined to aerospace tolerances in FALKOR’s Montana based headquarters. 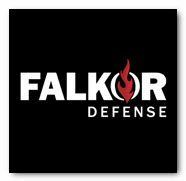 Xtreme Guns and Ammo Carries the full line of FALKOR Defense PETRA Rifles in Stock at all times, feel free to call us at 832-363-3783 or chat with us during regular chat hours online. First, let me tell you about the service you will receive. The service is second to none, the owner and the staff is courteous, knowledgeable, available and they make you feel like you are needed and wanted. I know that sounds a little sappy, but these days where people don’t seem to know how to serve their customers, these guys really stand out. Purchasing a quality firearm requires certain knowledge both from the buyer and the seller. These guys are there with a very good understanding of not only the weapons the sell but what will make it all work as an excellent package. So thank you to the guys at Extreme Guns And Ammo for knowing their product and for knowing how to work with customers. Now, the Petra. For many years I have been handloading to get that magic mixture that makes it all click, velocity, harmonics, twist, etc.. all to get into the sub MOA or better. I enjoy it, but I have a dilemma now. After receiving my 4th of July Special edition Falkor Petra, I let it sit on my table for a few days just admiring it. Took it apart a few times to examine the quality of artistry and become comfortable with the layout. Finally, I got the courage up to do the shakedown and zero in the scope. We started with a few wild shots of the back porch at a chunk of steel over on the next hill. All went well, so we walked over to our range. It’s a simple 100-yard prone range, but I always start at 50 when zeroing in a rifle. We took a few shots and were shocked at what we were not getting. Where was that infamous 300 Win Mag donkey kicking you in the chest? The first impression on the mechanics, the gun was amazing. The gun stayed on target and barely moved at all. The kick was more like a 223 than a 300 win. Wow. Nice start. After a few gentle rounds and getting the site tuned in at 50 yards, we moved to the 100-yard targets. A few more gentle shots and we were just about where I wanted it to be. 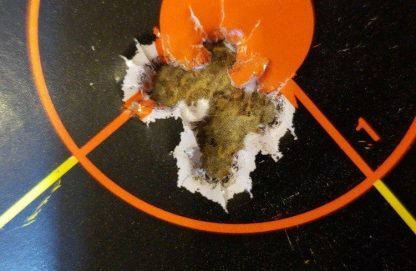 Now, remember, this is the first test drive, the first box of ammo (20 rounds) and I was shooting Remington CORE-LOKT 180gr PSP. Now anyone who shoots knows that these are general factory load rounds. Many variables that can cause a round to go astray are usually hiding within this box, but not this time. The Petra has taken control! As I loaded the last six rounds from the box into my Petra magazine, I was anxious to take a deep breath and exhale. I used that first of the six to verify POI was still where I was expecting. I then moved to my fresh target and unloaded five shots back to back. The pictures above are the result of my last five shots from the first box of ammo, Remington CORE-LOKT 180gr PSP, being shot through my Awesome, non-kicking Falkor Petra. First BOX, Factory Load SUB ½ MOA on a hot, windy day in the hill country of Texas. The staff at Extreme Guns and Ammo is among the very best I’ve had the pleasure to deal with they were both friendly and knowledgeable of the product I was interested in. After all the paperwork was finished they made sure I ammo and optics for my new rifle, I look forward to using them again. Now for the rifle the FALKOR PETRA 300 Win. Mag. It is by far the best AR, or 300 Win Mag I have ever shot, and it is extremely accurate, and the recoil, I had to shoot a second round just to be sure I was not being kicked by a mule. I don’t know how to say it any better than that. It almost has no recoil and I know what a 300 feels like because I have shot one for years hunting elk. So I would like to say THANK YOU to the staff of Extreme Guns and Ammo, and to folks at FALKOR for making such a wonderful Firearm.